This summer, enter the Nintendo Switch Summer of Fun Sweepstakes for your chance to win a family trip to any Southwest Airlines destination or 1 of 100 Nintendo Switch system prize packs. For your chance to win, check in at the designated area at one of the Nintendo Switch Summer of Fun events by showing your My Nintendo QR Code to the specified Nintendo staff or enter online at https://events.nintendo.com/#sweepstakes. Limit one entry per person, regardless of entry method. Ends: Sunday, August 26, 2018 at 11:59pm PT. 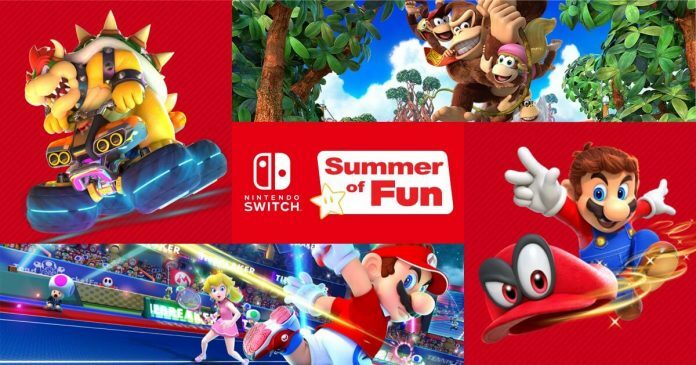 Eligibility: The Nintendo Switch Summer of Fun Sweepstakes is open only to legal residents of the 50 United States (excluding New York and Florida) and District of Columbia who are My Nintendo members and at least 19 years old at time of entry. 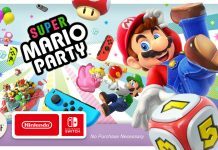 Details: Win 4 roundtrip airline tickets to any destination where Southwest Airlines flies or a Nintendo Switch system with Mario Tennis Aces, Mario Kart 8 Deluxe, Super Mario Odyssey and Nintendo Labo Variety Kit. 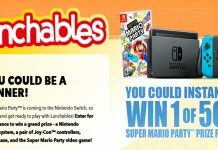 For complete details and official rules, visit events.nintendo.com/#sweepstakes.